Do the cars in the 4 lane road have to stop for the bus marked as the yellow symbol on a residential or side road if it is stopped with a stop sign out? 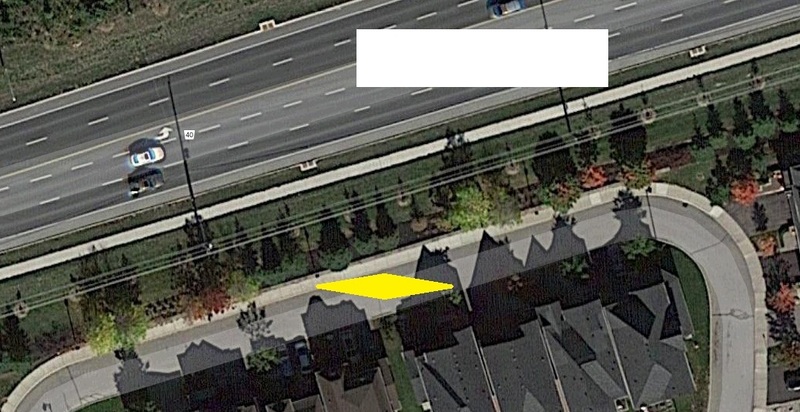 In this situation it is both lower ground with trees and about 10 meters of separation. No they are on a different road.